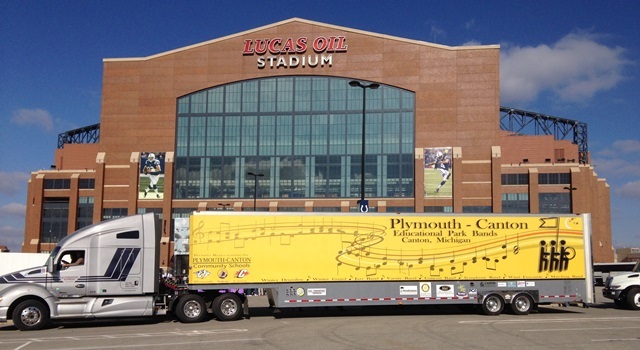 PCMB Semi in front of Lucas Oil StadiumAlready familiar with the program and want to start your donation? Click here. Plymouth-Canton Music Boosters (PCMB) exists for the purpose of promoting and supporting the Plymouth-Canton Community Schools band programs (curricular as well as extra-curricular), working in cooperation with district-wide staff to help provide an enriching experience for every student, in all grades, that participates in one or more of the band programs. The extra-curricular programs supported by PCMB are funded almost entirely through fundraising efforts and member participation fees, paid by parents. You may be asking, “Just how important are the arts?” According to The College Entrance Examination Board, students in music appreciation scored 63 points higher on verbal and 44 points higher on math than students with no arts appreciation. Further, businesses everywhere understand that arts education “helps students develop a positive work ethic and pride in a job well done” (www.americansforthearts.org). Now, that’s something that will translate into a healthier bottom line! Music education has been shown to provide these benefits regardless of socioeconomic status. Our students are among those you’ll want to hire some day! We ask that you please consider making a donation, an investment in the students in our community. Your gift will assist with expenses such as uniforms, instruments and repairs, contest fees, and transportation for groups such as the School Band Program, Marching Band, Jazz Band, Winter Percussion, and Winter Guard. In return for your investment, we are offering the opportunity to have your sponsorship publicized year-round through our sponsorship program, targeted at the numerous PCMB families, friends, alumni, and guests throughout the Plymouth-Canton communities – a PCMB community numbering into the thousands! We hope you will add your sponsorship support to ours and join the other organizations and leaders in our community who recognize the value of sound investment in our children’s music education. Logo on PCMB semi-trailer for one full year (contact PCMB for further details) 8"x14" 18"x28"
The mission of the PCMB is to support the instrumental arts programs across the school district. A fund that helps reimburse students for taking private lessons. 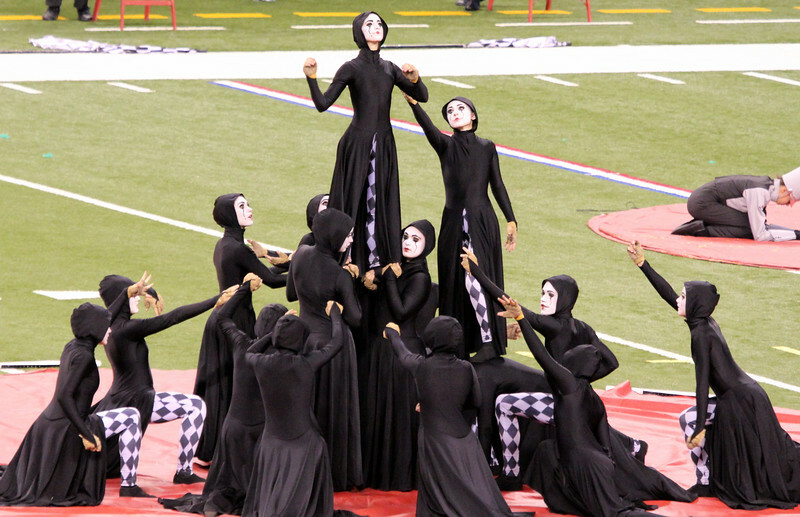 Winter Guard: Color guard ensemble that performs in venues such as gymnasiums and arenas. Winter Percussion: Marching percussion and front ensemble sections performing in venues such as gymnasiums and arenas. 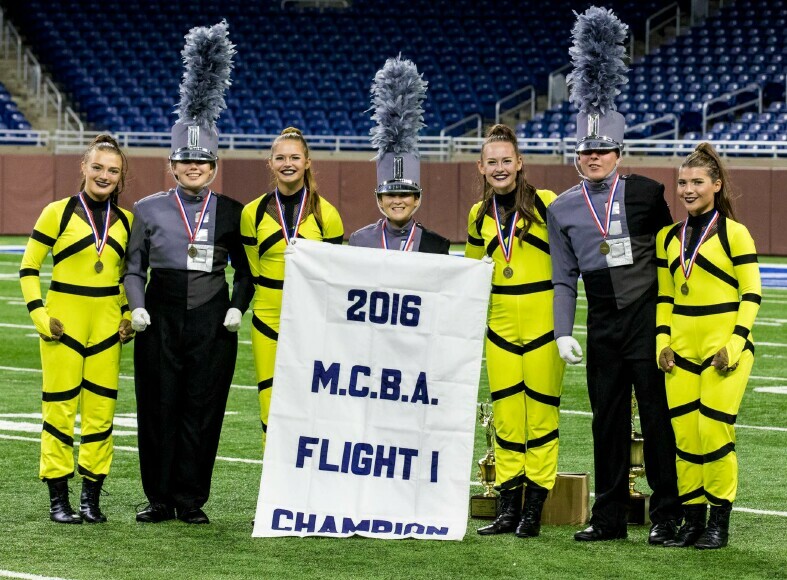 The Plymouth-Canton Music Boosters is a parent-run 501(c)(3) non-profit organization supporting high school Concert Band, Marching Band, Color Guard, Percussion and Jazz students from Plymouth, Canton and Salem High Schools in Canton, Michigan. 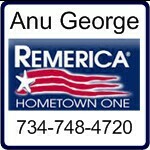 Our Employer Identification Number (EIN)/Federal Tax Identification Number (TIN) is 38-2589177.